© 2012 by Randy Piccoli; All rights reserved; content may not be copied, rewritten, or republished without Webmasters written permission. This article was updated on 01/20/19. Happy National Cheese Lovers Day! Did you know that vinyl siding is one of the single most popular fixtures for homeowners all over the country? When it comes to your homes exterior, its siding is one of the most important components. And when it comes to your choices for what that siding should be made of, vinyl is one material that stands above all others. But why is it that homeowners seem to prefer vinyl over many other materials when there are other options available? You Can Pick From a Variety Colors. Everyone likes a little variety in life, but especially when it comes to their home remodeling, and that quality certainly holds true with vinyl siding. You can pick colors that align with your personal tastes while turning heads in a good way with the right color combination. The color advantage can save you money and time on your new siding installation as well, because vinyl is produced in almost any color that you want. You wont have to worry about painting it before or after installing it. You Can Rest Assured That It Will Stand the Test of Time. Your homes exterior can be subjected to some pretty serious weather over time. Rain, high winds, thundering hail, and snow; all of it can take its toll and wear down your some siding over time, but vinyl can stand strong against all of it, comparatively speaking. Once you have installed your siding, you dont want to have to worry about the weather severely damaging and degrading it and leaving you with a costly repair bill as a result. Vinyl is designed to handle most of what nature throws at it. This includes constant blistering exposure to sunlight, which has been shown to fade the color in other substances over time. Its Fairly Easy to Install. Many homeowners are attracted to vinyl as their choice of siding simply because the installation of the material is hassle free and can be done fairly quickly. This means that, after the material is purchased, it can be quickly installed and your home can exhibit a new look and the long-lasting protection you are looking for. The three reasons above are the main reasons why many people pick vinyl siding. If youre thinking of doing so for your home, then it pays to know just how you can take care of your investment so you get the most out of it. Wash it Down Periodically. Any home improvement material review will point out that vinyl is a very easy material to take care of. This contributes greatly to its cost effectiveness. In most cases, the most you will need to do to get rid of any accumulated dirt or staining is to apply a healthy dose of soap, water, and elbow grease to the affected area. This will bring out the bright, vibrant color incorporated into the siding without a need for specialized cleaning solutions. Power washing is also an effective method of cleaning. Check for Moisture Behind the Siding. As many homeowners will tell you, one of the toughest things to handle is water damage in areas such as the basement and the attic, but did you know that it can happen behind your homes siding as well? All it needs is an entry point. Some vinyl siding is designed with perforations that allow moisture brought about by heavy rain to escape, but do not count on that being a standard feature with all siding. If the siding you buy doesnt have it, then performing a periodic inspection to make sure that any trapped moisture is dealt with before it has to chance to lead to mold or mildew will easily keep your home protected over the long run, saving you money on home repairs. Replace Damaged Panels. If youre worried that replacing damaged siding will be an expensive proposition, you dont have to be concerned. One of the great things about vinyl siding is that panels can be removed and replaced individually. This means that unsightly chips, cracks, and other such blemishes can be taken care of quickly so that you can regain that comprehensive look. The only trick is getting a good color match. A good contractor can make this happen by getting the best match and then air-brushing. As an alternative, you can buy extra to begin with if you have an area to store it. While these tips arent everything you need to know in order to care for your siding, theyre a good start. By following them you can enjoy years of a high quality, versatile and economical material that will keep your property and possessions safe for years to come without your wallet having to take a huge hit for that to happen. 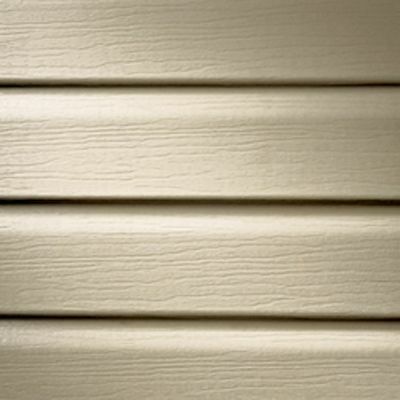 Did you find this article about things you should know about vinyl siding helpful? If so, please pass it along to your friends. Comments or ideas? Add them in the comment section below. Thanks for visiting. Do You Need a New Roof or Shingle Repair? 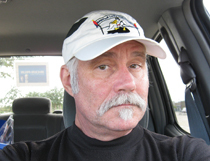 Do you need an article or blog post written? I offer these services at reasonable rates. Hire Me! Article © 2012 Randy Piccoli; All rights reserved; content may not be copied, rewritten, or republished without Webmasters written permission.